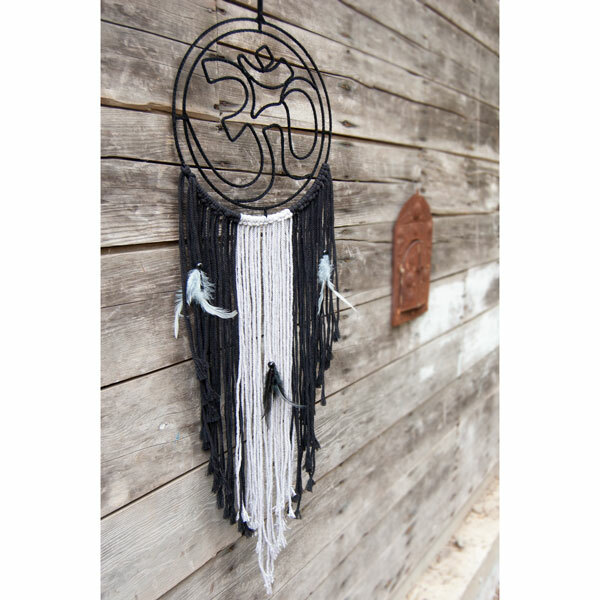 This striking black and grey statement piece can act as a reminder in any space, embodying power and strength through its solid colors and famed consciousness symbol. 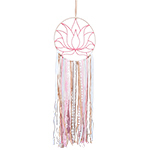 The design of a dream catcher is rooted in the idea of deflecting and capturing negative thoughts. 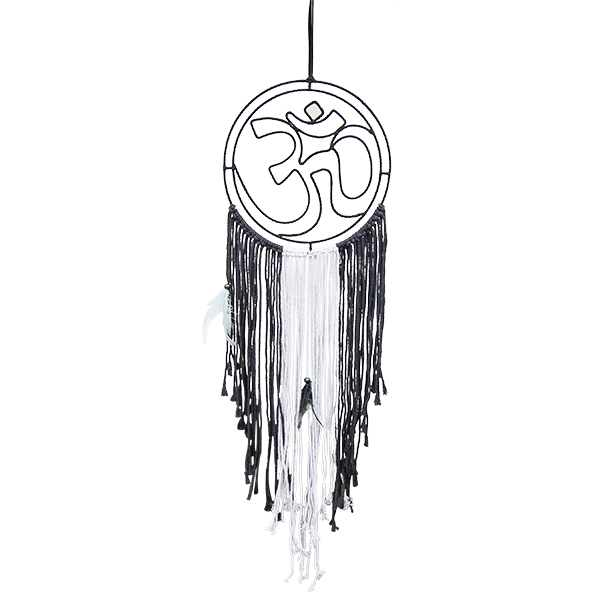 This Indonesian crafted Om dream catcher in neutral tones is made with a mix fabrics and feathers. 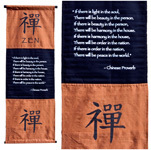 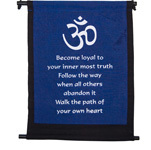 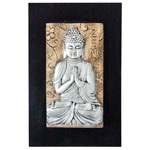 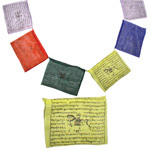 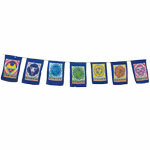 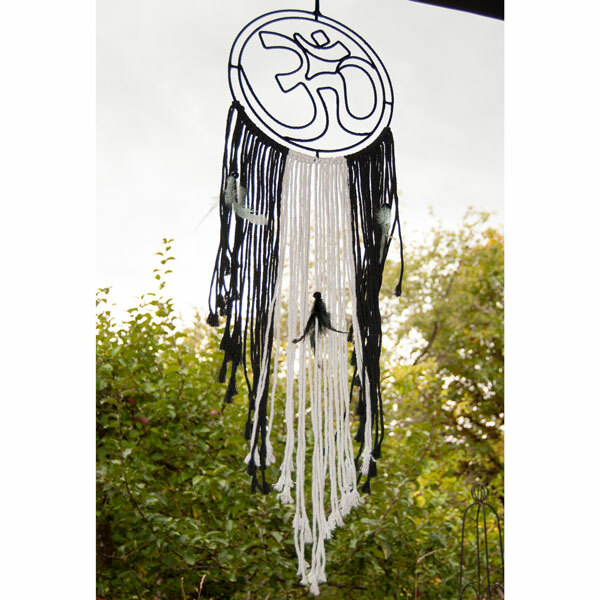 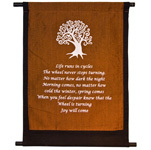 It can be hung above a bed, or in a yoga studio, ideally displayed prominently to attract positive spiritual energy. 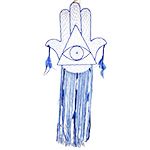 Materials include cotton, polyester, chicken feathers and galvanized wire.